I see that these recent solar flares and their earthbound solar plasma made headlines on CNN, although scientists are only concerned with the exoteric or outer ramifications of the influx. What about their effect on our psyche and inner life? That is too esoteric for science, and for that matter astrologers as well. Until recently, intense solar activity has been, astrologically speaking, totally esoteric. Astrologers have mostly ignored it. Traditionally the word "Esoteric" just means that only a few folks get it. Esoteric astrology is no different. Not many astrologers get it or to put another way, no one even seems very interested. As for me, I have always revered the Sun and tried to get down to the root or inner meaning of the solar mysteries. I remember a great poster (and billboard) that the great Sixties rock-concert poster-artist Bob Fried did called "Behind the Beyond." I am always looking behind the beyond for whatever is there, which just may be nothing at all. Another way to say this is to say that outer appearances of the Sun and its sudden influx of solar flares is not the whole story, in the vein of "you can't always judge a book by its cover." I have been working on the esoteric solar mysteries for many years and not only do I feel that solar influx is important to astrologers, there may even be a lineage of sorts in the making. I want to speak to my fellow astrologers who share this interest in the Sun about that lineage which I feel part of. I would like your feedback. The Tibetan Buddhists are all about lineage. Here in the West, lineage (even in astrology) is unfortunately given shorter shrift or simply unknown. Of course I wonder about the lineage of these solar initiations I have been writing about, not just solar flares and CME Events (Coronal Mass Ejections), but also heliocentrics in general, including what I call the Dharma Chart, StarTypes, and so on. It is important to modern astrology that the solar mysteries be known, celebrated, and assimilated. Now is the time. In the mid-1960s I was fortunate to meet an old man (around eighty-years of age) on the University of Michigan Campus. His name was Andrew Gunn McIver and he had been a travelling initiator for a Rosicrucian order. Born in Glasgow, Scotland in 1887, Andrew served in World War I as a recorder of the dead, and ended up in Canada where he worked as a lumberjack. McIver eventually emigrated from Canada to the U.S. and settled in Ann Arbor, Michigan which is where he and I met and, as it turned out, mixed our minds, which was for me a life-changing experience. Andrew then proceeded to initiate me into some of the esoteric mysteries, in particular those of the Sun, plus what is called in astrology the Saturn Return, the return of the planet Saturn at around 30 years of age to its natal position. McIver helped me to go through the initiation of my Saturn Return consciously, with my eyes open. That original meeting for me was incendiary, white hot. Over the next year or so and until he died (at the age of eighty-two) I spent a lot of time with Andrew. He would repeatedly tell me that he was tuning my mind like one would tune an instrument. Andrew said that some day in the future I would respond to his words. And that turned out to be true. One thing he told me again and again is this: "Michael, imagine yourself standing at the center of the Sun. That's hot stuff!" He would say this with a deep guttural growl. I just took it all in. However, years later I did just that. I imagined myself standing at the center of the sun and helped to pioneer heliocentric astrology. For example, in 1975 I published "The Sun Is Shining!," my first book, a long-range heliocentric ephemeris -- some 400 years of quite exact positions. I then followed this with other heliocentric works such as my book "Interface: Planetary Nodes" in 1976, "Astrophysical Directions" and then StarTypes, the "Dharma Chart," and so on. I paid my dues. Andrew McIver was not much taller than five-feet, but his eyes burned right through you like a blowtorch. My Facebook friends know how talkative I can be. Well, during my time with Andrew I would seldom say a single word, so rapt was I in his presence, even though we could be together for eight or ten hours a day. At the end of such a day I had received so much input that I could barely walk. I would stumble home completely exhausted, but filled with light. In my fifty-year study and practice of astrology, the astrologer who has most directly influenced me is Theodore Landscheidt, a supreme court justice in Germany. We became friends based on a common appreciation of deep-space astrophysics. His book "Cosmic Cybernetics" was pivotal to me. In the late 1970s I sent Landscheidt one of the first home computers to his home in Germany. On that computer he did is landmark research in solar activity. He lectured on his solar influx work to scientists all over the world for decades. Later in his life, Landscheidt would write the book "Children of the Light," a book on solar flare experiences and creativity in great thinkers and innovators. Some years ago I had it translated into English by my dear friend and astrologer Robert Schmidt, but as of now Landscheidt's widow has not released the English version of the book for publication. Another sign that I note is my experience when I first met His Holiness the 17th Gyalwa Karmapa (Ogyen Trinley Dorje) in 1997 at his ancestral monastery in Tibet at some 15,000 feet of altitude. The young Karmapa gave me (through a translator) the name Tenzin Nyima, which translated means "Holder of the Sun." His Holiness could speak no English and had no idea I was into heliocentrics, but of course he just knows everything. The Karmapa's presence then proceeded to initiate me into the mystery of my own consciousness when through a spontaneous realization in his presence I realized that I was at heart a deeply compassionate being. I imagine we all are, but at the time I had no idea. 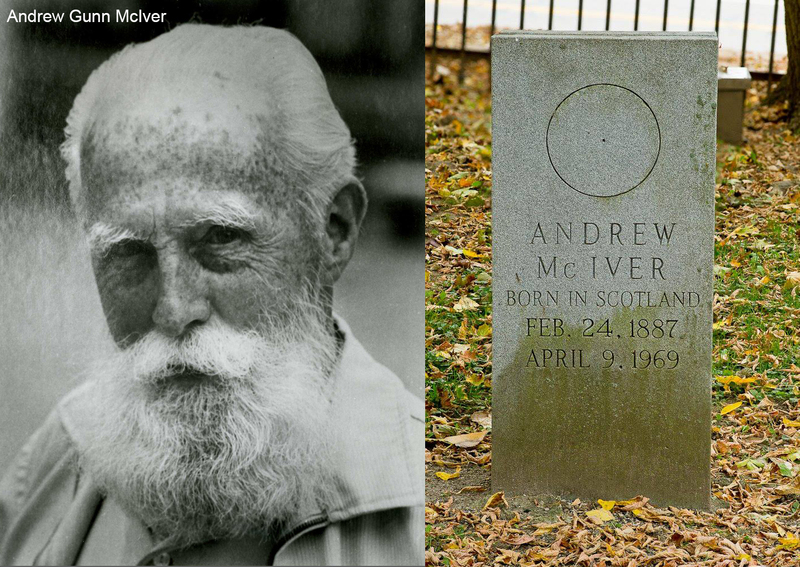 When my first dharma teacher Andrew McIver died in 1969 I saw to his burial, sent his few possessions to a sister in Scotland, and even designed his tombstone, emblazoned with the symbol of the Sun. I write this now because, to my eyes, there is serendipity here, and maybe even lineage when it comes to the Sun and heliocentric astrology. I put in the time, seem to have the cosmic connections, and all that remains is to communicate this to my fellow astrologers or to folks like yourselves, in hope that you are empowered to realize what I am presenting here and perhaps help to carry this information on. I believe that the heliocentric insights and techniques of the Sun that I am working with are astrological 'terma' (In Tibet they are called "mind treasures") hidden deep within the mind itself. With the help of my teachers and guides I have discovered some of these astrological treasures, gradually understood their meaning, practiced them for many years, and now am sharing this with the world. If this sounds crazy, yes, I am that crazy. In 2004 I went to Mt. Wutai Shan in central China along with my dharma teacher of many years, five mountains arranged in shape of a number 5 die, as in dice. We went to the top of all five mountains and made offerings. It was here, at Wutai Shan, my teacher pointed out, according to the Buddhists that astrology is said to have originally entered our world system through the Bodhisattva Manjushri who appeared as a youth. From the top of his head poured forth the 84,000 dharmas of astrology. That is another story that I have told before and, while relevant here, it is long and I perhaps will tell it again another time. In all sincerity, discovering for myself that my heliocentric chart was not just the "next" technique I was to program in astrology, but rather a black-hole into which I stepped that changed my life. Think about it. Can you imagine what it would take for you to transfer your astrological identity (after all these years) from the sacred geo natal chart to another chart entirely and never return? It is a one-way transformation, which is pretty much the definition of a 'realization'. That was a transmigration of a sort, and one taken right here in the middle of this life. "The dewdrop slips into the shining sea," and the traditional geocentric natal chart immediately became a child (subset) of its own mother, the solar system. The main point here is that this was not just a cerebral exercise or intellectual understanding, not even a passing experience, but rather a permanent realization of who I am and why I am here, not to mention a clear path to further awareness and knowing myself. Enough said. I wonder who will carry on this lineage? Perhaps one of you reading this now will find that you can respond to this information. Please look into it.